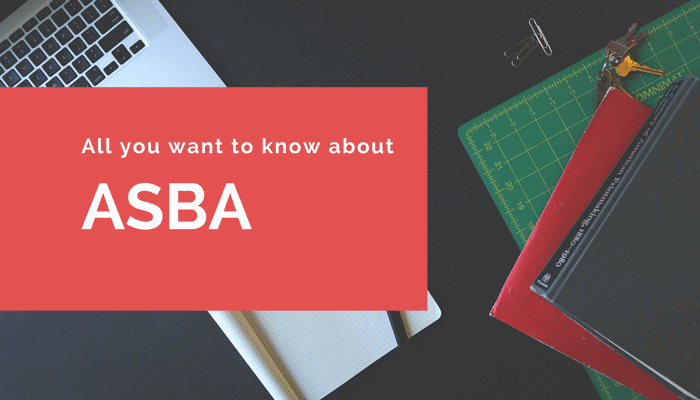 What is ASBA? New investors in the stock market may get confused and even intimidated by such jargons. However, IPO Central is here to simplify things for investors. So here is the collection of Frequently Asked Questions (FAQs) about the ASBA feature which is one of the only two ways to invest in IPOs for small investors in India now (the other being the UPI payment option which came into effect from 1 January 2019). ASBA full form is Application Supported by Blocked Amount. This is an application mechanism which completely eliminates the need for refunds in the case of partial allotment and no allotment. ASBA allows the investors money to remain with the bank till the shares are allotted after the IPO. The funds are transferred after the allotment and to the extent of allotted shares. Initially, QIBs were not allowed to participate in IPOs through ASBA facility; however, with effect from May 2010, investors in all categories were allowed to apply through ASBA. It is important to note that all banks do not offer this facility. A list of Self Certified Syndicate Banks (SCSBs), which is updated regularly, can be found on SEBI website. As on September 2014, there are 57 banks registered with SEBI to act as SCSBs. In June 2015, SEBI made it mandatory for all IPO applications to be made through ASBA mechanism with effect from 1 January 2016. How can investors make ASBA applications? Investor can submit the ASBA form (available at the designated branches of the banks acting as SCSB) after filling the details like name of the applicant, PAN number, demat account number, bid quantity, bid price and other relevant details, to their banking branch by giving an instruction to block the amount in their account. In turn, the bank will upload the details of the application in the bidding platform. Investors shall ensure that the details that are filled in the ASBA form are correct otherwise the form is liable to be rejected. ASBA applications can also be made online through banks’ netbanking interfaces. Where do I get ASBA form and ASBA e-form? Physical ASBA forms are available with SCSBs as well as with brokers. Since most services have moved online nowadays, one can get ASBA forms also online. ASBA e-forms can be downloaded from exchange websites as well as from several bank websites. How many applications I can submit through online net banking from one bank account? You can submit maximum five applications from one savings bank account but it varies from bank to bank with some banks having their own conditions. For example, HDFC Bank does not allow IPO applications to be made on behalf of others but Axis Bank does. Can I make ASBA application from current account? No. The application will not be processed by the bank. Can one apply from sweep in/out savings bank account? You can but the application amount should not involve sweeping. There should be a clear minimum cash balance equivalent to application amount in the bank. Can I apply in the name of family members & friends from my savings bank account? Can I apply more than one application in my name from different savings bank accounts in the same bank or different banks? No. If you do, then all your applications will be rejected. What are the unique IDs/fields in an application? Every application should be unique in the following three aspects. These should not get repeated in any way. In case of a joint DP account, who will be considered primary applicant? The IPO application will be considered as submitted under the first name in the joint account with his/her corresponding details like PAN, DP account etc. Can I apply in the name of Minor or HUF? Yes, IPO applications can be made from the demat account of a minor provided that the account is operated by the minor’s guardians. How many lots should I apply to get maximum allocation? If the issue is good, then it is bound to get oversubscribed. In that case no matter how many lots you have applied, you will get maximum one lot that too in a lottery system. So you should not apply for more than one lot in a good IPO. However, in an IPO which may turn out to be good or bad, where subscription is less than or equal to one time in retail category, then you will get as many lots as you have applied subject to INR200,000 limit. In this case it is however a high risk proposition. You may lose a large amount of money. In nutshell, in order to be on safer side, it is advisable to always apply for one lot only in all cases. When I should expect allotment and credit of shares in demat account? Nowadays, shares are credited to demat account within a week of closing date for subscription. Every IPO will have separate dates when basis of allotment is made public. 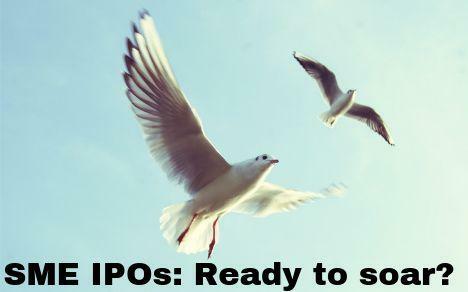 Please check our IPO discussion pages to get specific dates for individual issues. What is the cut off time for IPO applications? In online application it is 1 PM, 2PM or 3 PM. You have to check it with individual banks. Some banks also extend the time when there is huge subscription rush. In physical application through your broker, it can be 5 PM and extendable as above. However, it is better to apply in time and not wait for extension. How to check subscription figures and allotment status? Subscription figures for mainboard IPOs are frequently updated on BSE and NSE. 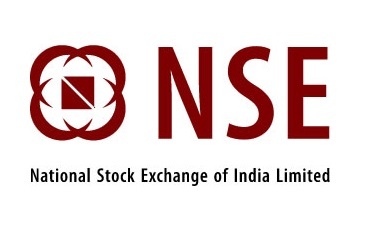 Check “NSE bid details” of the issue page on NSE site and “BSE demand schedule” of the issue page on BSE site. Add the two and you will get the figures at any time during the day. IPO Central does it regularly and the figures are updated several times a day on the IPO discussion pages. Allotment status, once basis of allotment is finalized, is available on the site of IPO registrar. What impact will the introduction of UPI have on ASBA process? With effect from 1 January 2019, SEBI has allowed retail investors to apply to IPOs through UPI (Unified Payments Interface). This interface simplifies things for small investors and allows them to apply through their mobile phones. This option will not impact the ASBA process which will continue to work in parallel as clarified by SEBI. We have a separate page about UPI for IPO investors which explains the whole process and its benefits. Is ASBA application process also applicable for SME IPOs? Yes, ASBA is applicable in book-built as well as fixed price issues. This means SME IPOs are also supported by ASBA facility. Investors can find ASBA option in some rights issues as well. ← What is Basic Services Demat Account (BSDA)?